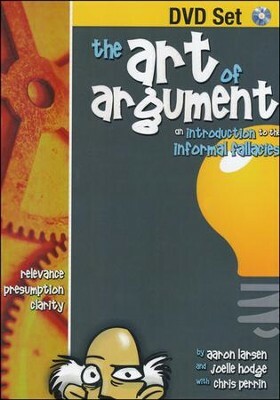 This DVD set accompanies Classical Academic Press' The Art of Argument curriculum. 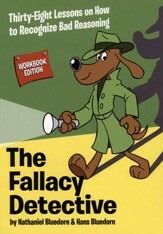 Students will follow four students and three logic teachers as they discuss the 28 fallacies presented in the curriculum. Fallacies are defined, explored, and practically applied to student life, ads, political speeches, and other types of debates. Both serious and silly, students will end up with a firm understanding of the various types of fallacies that exist! 5 DVDs. Q: Can you just use the DVD's or do you have to buy the textbook, too? Although the DVDs are useful to watch alone, they are only discussions about the topics being studied in the book, not the lessons themselves. You will definitely get more out of the DVD discussions if you use the accompanying curriculum. 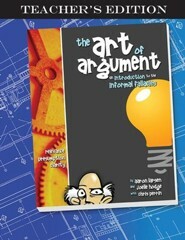 Q: Is it necessary to buy the DVDs for the ARt of Argument Curriculum? Or are they supplementary? 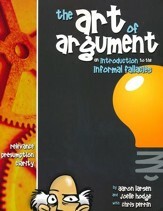 No, the DVDs are not required to successfully complete the "Art of Argument" curriculum. 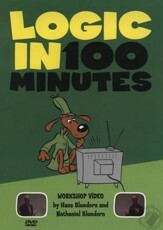 They contain 28 video segments which present, define, and then discuss and explore each fallacy, using a blend of enthusiasm, contemplation, and humor. 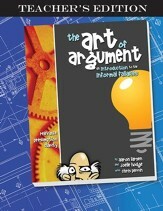 I'm the author/artist and I want to review The Art of Argument DVD Set.